Displays points of interest, including hotels, restaurants, parking, entertainment, fuel and shopping. 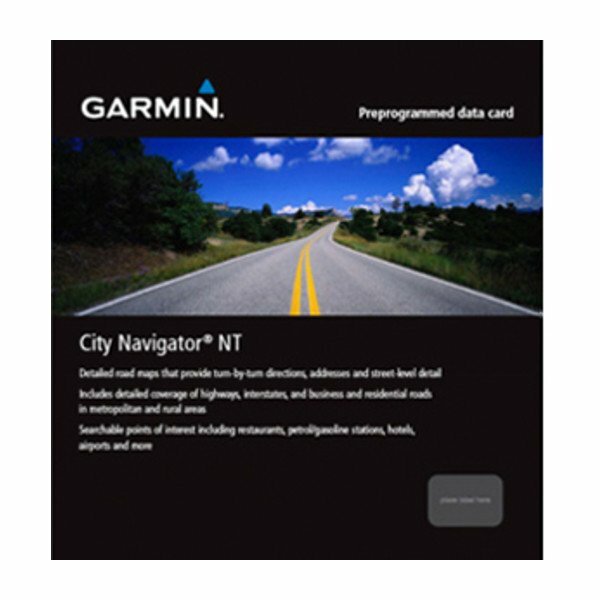 Includes highways, interstates, business and residential roads in metropolitan and rural areas. 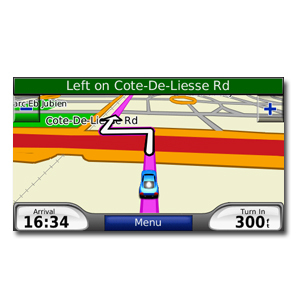 Includes detailed information, such as turn restrictions, roundabout guidance and speed categories. 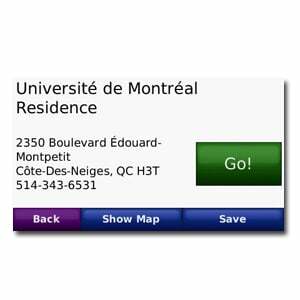 Enhances pronunciation data for compatible devices that speak street names (example: “Turn right on Main Street.”). The file size of this download and space required on device or microSD™/SD™ card is 775 MB. If this download does not fit on your device, data may be saved on a microSD/SD card (Recycled microSD cards may be used to program map data). 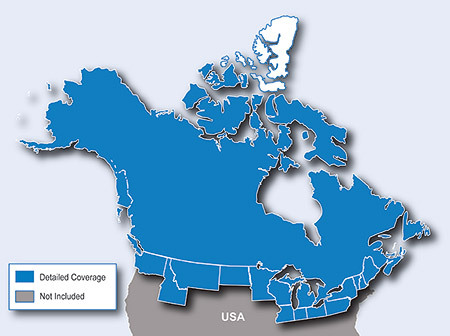 Features detailed maps for all of Canada and the U.S. border states.